Although we make an effort to be accurate, mistakes happen and information featured on this website could be incorrect. Please drop us a line when you encounter such flaws, to enable us to update the affected paragraph. [comment@icwv.org] Please also point us to links on our website that are no longer active. Your support in helping us keep this site current and raze the quality of the content is highly appreciated. 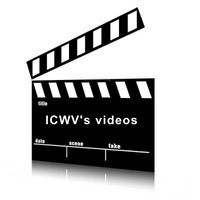 Be aware: not all content of this website expresses the views of ICWV. Each post represents the view of its author. Regarding links to specific articles and other websites: such a link does not imply endorsement by ICWV of every view expressed in the linked material or website.